Win a set of books signed by Celia Imrie! 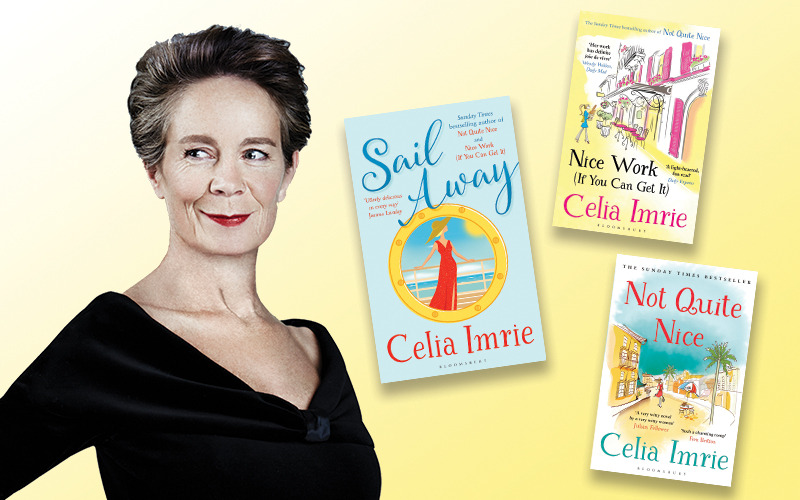 Escape the winter blues with a full set of actress and bestselling author Celia Imrie's deliciously witty, irresistibly indulgent novels - signed by the woman herself! We have partnered with Bloomsbury Publishing to offer five lucky winners a set of signed books. Not Quite Nice and Nice Work (If You Can Get It) are Celia Imrie's hugely popular, bestselling novels set on the French Riviera, following the hilarious exploits of retired expats in sunny Bellevue-Sur-Mer. And in February 2018, Celia Imrie is back with Sail Away! Suzy is discovering that work can be sluggish for an actress over sixty - and when her latest play is abruptly cancelled, she is forced to take a job on a cruise ship to get home. Meanwhile, Amanda finds herself homeless in rainy Clapham. When she spots an advertisement for an Atlantic cruise, she realises three weeks on-board might just keep her afloat until the crisis is solved. Sail Away by Celia Imrie is out in hardback and ebook on 22nd February 2018 - you can pre-order now.